New to the Jackie Fairweather Triathlon Festival is the Standard distance triathlon. Take advantage of this beautiful course by enjoying more of it! Staggered wave starts in an open rectangular course in front of Rond Terrace. 4 laps of a flat out-and-back course from Rond Terrace, left onto Parkes Way and return. Full road closure for cycle course. 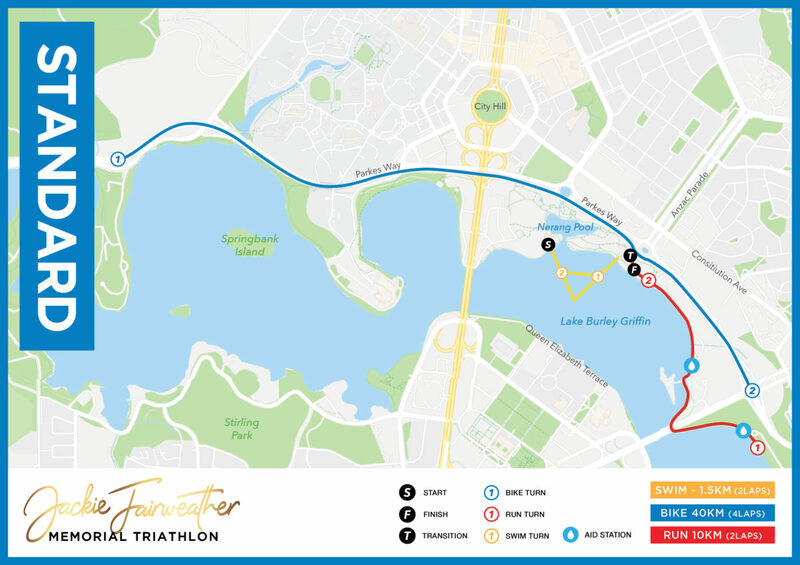 Transition area onto foreshore path to Kings Park and return along path to finish. 4 laps.